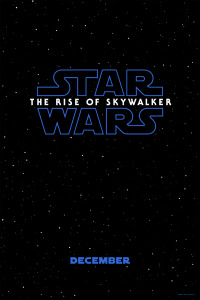 The Emperor Returns in The Rise of Skywalker! 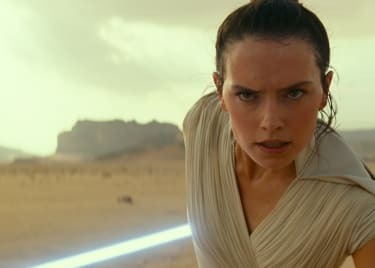 The first trailer for STAR WARS: THE RISE OF SKYWALKER reveals a shocking twist: The Emperor has returned from the dead! Toward the end of the trailer, Luke’s voice promises that no one is ever truly gone. That seems like an uplifting thought, at first. He could be referring to his own presence and — in a very meta way for viewers — to the passing of Carrie Fisher. Things take a dark turn, however, as we hear an evil laugh that is immediately familiar to any STAR WARS fan as the cackle of Emperor Palpatine. As if to erase any doubt about the Emperor’s return, actor Ian McDiarmid, who played Palpatine for years, took the stage at Star Wars Celebration after the teaser premiere. “Roll it again,” he growled in the Emperor’s instantly recognizable voice. So, we have a few questions, beginning with what, Why, HOW is the Emperor back!? Palpatine was believed to have been killed by Anakin Skywalker at the end of RETURN OF THE JEDI. His body was flung down a reactor shaft in the second Death Star, Anakin seemingly sacrificing his life to fulfill the prophecy of the Chosen One and end the Sith line forever. So … how did Palpatine survive? Or did he? The modern STAR WARS films have drawn many plot elements from the old Expanded Universe, so it’s reasonable to assume that’s the case here as well. In the EU, the most powerful Dark Siders don’t truly die. Their hatred and bitterness transcends death itself. That was proven in the classic “Dark Empire” comics, written by Tom Veitch, published in 1991 and 1992. George Lucas himself loved this story and passed copies of it to his staff as Christmas presents. In “Dark Empire,” Palpatine’s spirit found its way to a cloning booth, in which he was restored to flesh. Now, there is no evidence that he’s done this in THE RISE OF SKYWALKER. Notice that the trailer features Palpatine’s laugh, but doesn’t show his face or form. But it is entirely possible that his spirit lives on in the wreckage of the Death Star. If that’s the case, Palpatine could secretly be the driving force behind the entire sequel trilogy. Kylo Ren had to go to Endor to retrieve Darth Vader’s mask, which he claimed as a relic. While there, he could potentially have fallen under the influence of the Dark Side — not just through Supreme Leader Snoke, but under Palpatine. That’s the reason Snoke could be killed off so carelessly in THE LAST JEDI, because he really was irrelevant. It may be that the main villain of the sequel trilogy is the same shadowy presence that dominated the original trilogy and the prequels. Palpatine is working from the shadows. Can You Kill a Ghost? Presumably, Palpatine’s body lies within that wreckage. Or, at least, some remnant of his spirit may be there. 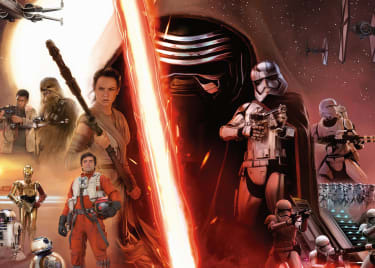 Is THE RISE OF SKYWALKER an exorcism movie, at least in part? How else can you destroy a ghost? Perhaps with strength of numbers and of will. The Skywalker legacy lives on after Luke’s death in THE LAST JEDI. Rey isn’t going into battle alone. In addition to friends like Finn and Poe, she’s allied with the Force Ghost of Luke Skywalker and perhaps even Anakin Skywalker as well. Will they be enough to fully destroy the Emperor? 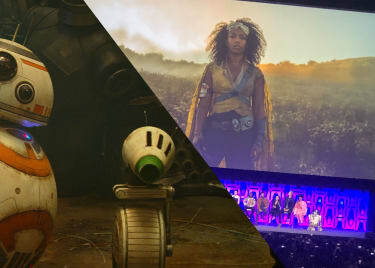 STAR WARS: THE RISE OF SKYWALKER will reveal these secrets and more on December 20.